**SOLD*** Call for more info. ***SOLD*****I can show you a similar property. This corner parcel with building is situated on Charleston's busy HWY 17 corridor, features a total of 487 feet of frontage. Frontage for Hwy 17 is 240 ft and has a double curb cut. Frontage for Carrillo St is 247 ft and has two curb cuts. Zoning is "CC" or Community Commerical. Nearby businesses are: Costco, Hardee's, new Comfort Inn (under construction), Dillards, Target, auto dealerships, gas stations. St. Francis Hospital complex and other medical facilities within 3 miles. Prime location for a multitude of business: hotel, restaurant, fast food, medical facility, retail. 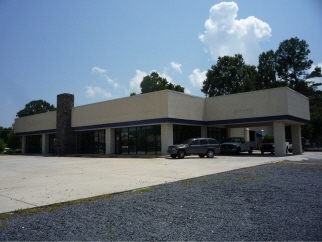 Previously an auto dealership, the 12790 sqft building consists of 5309 SF of finished retail and 7400 SF of service related area.